Situated midway between Stoke and Saxton Sports Fields, this suburb was once well known in the past for its Ngawhatu Hospital, which was located right at the end of Ngawhatu Rd, up and into the valley proper. In recent years it has seen many new subdivisions populate the area, obviously with new homes. Many of the homes in these areas are under 5 years old, and land is still being sold and build on as this is written in 2009. There are no shops within the suburb, but Polstead Rd in Stoke is only 5-600m away and there is a local dairy & fast food outlet about mid way down the road. By motorised transport you‘re less than 5 minutes from Stoke shopping centre with 2 modern supermarkets. Richmond is about 7-9 minutes away to the south, while to the north Nelson‘s main shopping centre is about 12-14 minutes away. Public Transport is provided for by bus, as the last trains stopped going through Stoke in the 1950‘s. 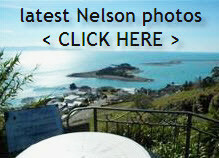 Regular services to Nelson and Richmond allows easy access to all of Nelson. Many people bike to work as its just a short cycle. Generally you would need to walk about 1km to Main Rd Stoke to catch the most frequent scheduled bus services. In addition to this, currently 4 times a day, a bus travels the Stoke Eastern Loop route and that takes it down Polstead Rd, only 5-600m away. 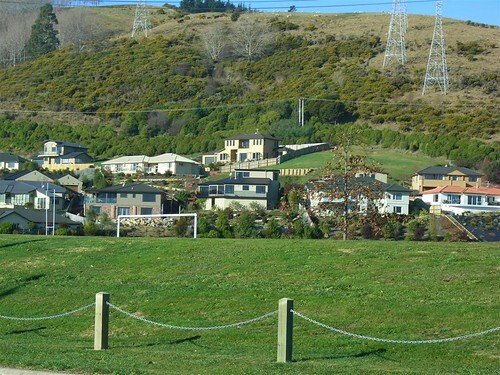 The playing fields area on the corner of Suffolk Rd & Ngawhatu Rd’s is “famous in Nelson”, and not just for the football that is played there. 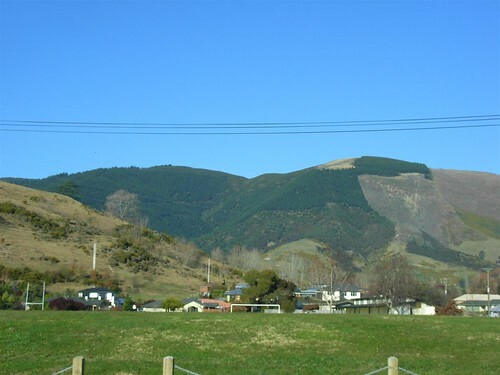 No they are known as the landing zone for para-gliders and hang gliders who jump off the nearby 604m high Mt Barnicoat (the public can take the track to the top). 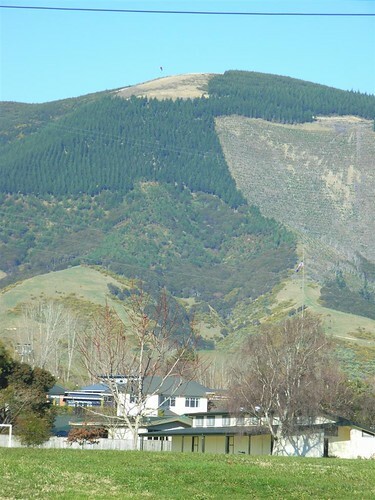 In fact if you look closely at the above ground level photo, you can actually see some paragliders just off the peak at the top of the hill, in the non-forested brown (it was summer when this was taken I believe) area. And as the playing fields are only 1.6km from the top of Mt Barnicoat (as the crow flies) you can imagine there is a bit of free air between. Great Youtube Hang Gliding Nelson NZ 2008 ( from the top of Mt Barnicoat) link here. Although the above mentioned Fish & Chip shop is the only food outlet located close by, there is also a cafe off McMahon Rd. In Stoke about 1.5km away there are 2 cafes, a hotel restaurant, 4 fast food outlets and a bakery. Just a minute down Songer St to the sea end there is the “Honest Lawyer” Pub and across the Rd the just opened “The Orangerie” at the brand new Grand Mecure Monaco Resort. However like most places in Nelson you‘re only 10mins away from either main dining establishment zones in Nelson to the north or only 6-7minutes away to the South for Richmond.